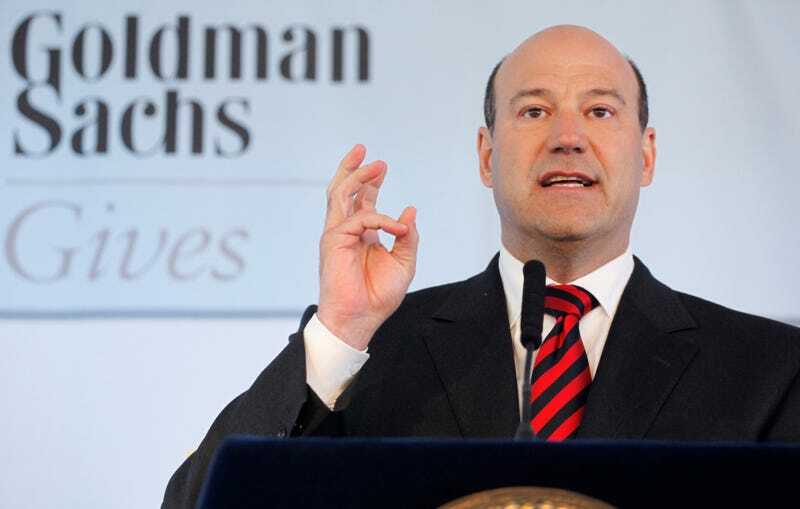 The New York Times reported on Friday that Donald Trump is expected to name president and chief operating officer at Goldman Sachs, Gary Cohn, his new director of the National Economic Council, a role that is often filled by top Goldman Executives and was established under Bill Clinton. Cohn, a registered Democrat, will oversee the White House’s economic policy, according to the Times. While Trump’s appointment of Cohn is in no way unprecedented, it does undermine many statements he made during his campaign. This is, perhaps, even less unprecedented. In the days leading up to the election, Trump’s team released a campaign ad featuring the face of Goldman Sachs CEO Lloyd Blankfein to the tune of a voiceover proclaiming, “a global power structure that is responsible for the economic decisions that has robbed our working class, stripped our country of its wealth and put that money into the pockets of a handful of large corporations and political entities.” The ad incited charges of antisemitism against the Trump campaign. “Leaving Wall Street to take a top government post could provide a huge financial gain for Mr. Cohn. It’s almost like the White House is the new Wall Street, or at least more so than ever before.